Losing weight is just as much of a mental game as it is a physical one. Getting up every day and committing to you diet and exercise goals takes commitment, dedication, and no small degree of mental work. As hard as it is on your body to power through a workout, it usually isn’t your arms or legs who start telling you to quit. That little voice inside of your head is the most common culprit when it comes to giving up on your weight loss dreams. A positive attitude is one of the most essential tools you can have in your weight loss arsenal. You remember the old childhood saying: “Sticks and stones can break my bones but words will never hurt me.” If only that were true! Negative words can make a big impact on your willingness to succeed, and when it comes to losing weight, negativity can impair your readiness and motivation to improve your health. Developing a strong, positive attitude takes time. After years of tearing yourself apart and only focusing on what you don’t like about your body, it isn’t too easy to flip a switch and start thinking about yourself in a positive light. From Los Angeles to Bakersfield, there are going to be people you see and places you go that will bring back bad memories and will thwart your positive attitude. It is okay to have small setbacks. Accept those moments as growing opportunities and do what you can to move forward. Try to be more appreciative for the small things in life that bring you pleasure. This might be as simple as an enjoyable glass of ice water on a hot day, or the way a family member makes you laugh. Do more of what makes you happy. Don’t hold back from the things that you love. If you want to start a new hobby, enjoy a craft, or read a book, just go for it. Encourage yourself by being ready to learn every day. There are opportunities to learn day after day. Take the time to learn something new, it might change your outlook on life and give you something worth thinking about. 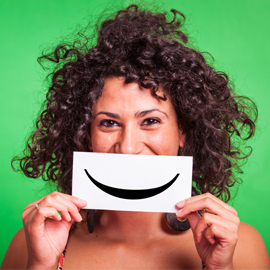 It can take some time to become perpetually positive, but in the meantime you can do your best to put on a smile and resist the negative thoughts that may hamper your weight loss progress. Encourage yourself to be healthier and surround yourself with positive people during your medical weight loss program. This type of healthy mindset is just as big a part of your medical weight loss program as the dietary and exercise changes—so don’t overlook it!